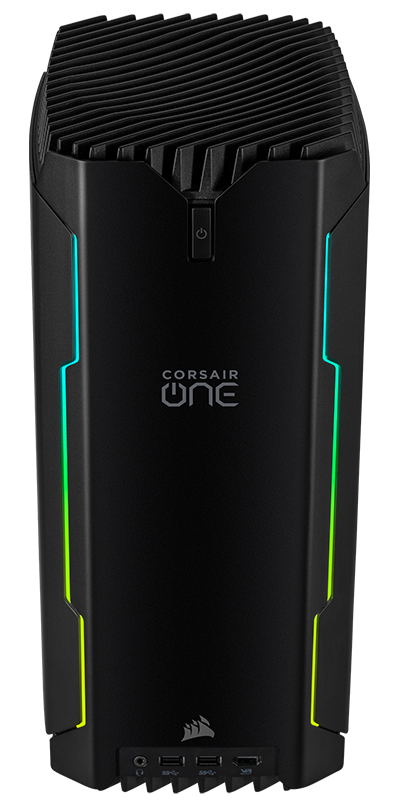 If you're in the market for a high-end gaming PC and you're willing to spend big, the Corsair One has to be in contention. 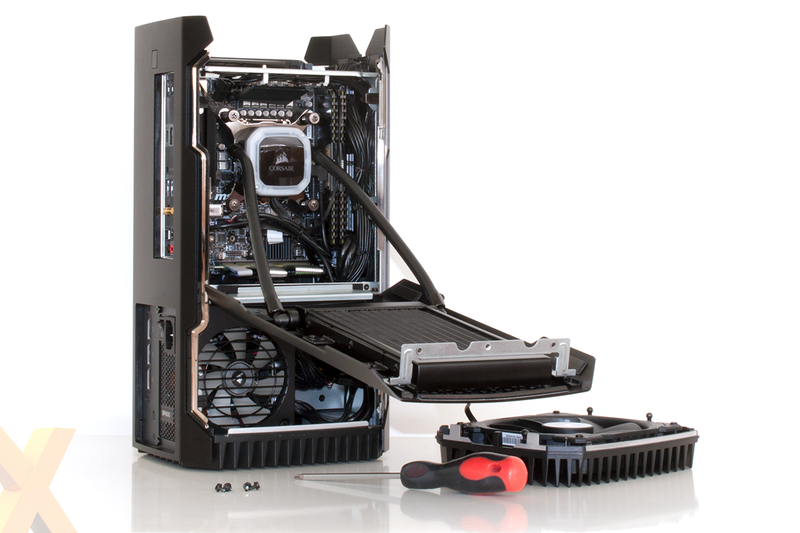 First released in 2017 as Corsair's take on the future of gaming rigs, the eye-catching and space-saving system proved to be an excellent interpretation of a small-form-factor machine packing a serious punch. 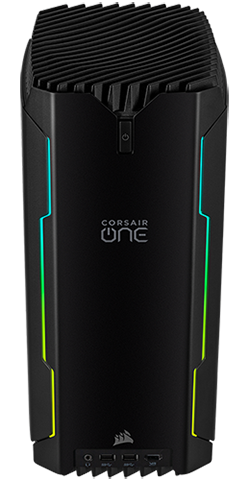 That same rectangular chassis has been used for subsequent revisions, and in 2019 Corsair One makes the move to 9th Gen Intel Core processors and Nvidia GeForce RTX graphics. Two choices head to retail first; the £2,850 One i140, featuring a Core i7-9700K CPU and RTX 2080 GPU; or the £3,400 One i160, sporting a Core i9-9900K CPU and RTX 2080 Ti GPU. We have the latter in for review today. It's fair to say we're not overly fond of the name - Corsair one-eye-one-sixty is terribly clunky - but the all-metal chassis sure has aged well. Not a great deal has changed externally over the past 24 months, though that's no bad thing as this remains one of the sleekest desktops around. 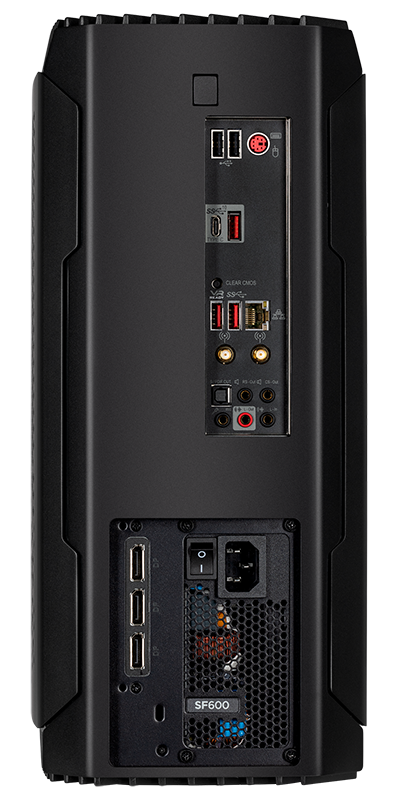 Dimensions of 200mm x 173mm x 380mm continue to impress considering the horsepower within, and though it tips the scales at a hefty 7.4kg, the i160 can be viewed as an opportunity to downsize from a traditional tower, and it looks seriously smart sat on the desk alongside a nice monitor. One minor complaint aimed at earlier units was the hampered selection of front-facing I/O ports. 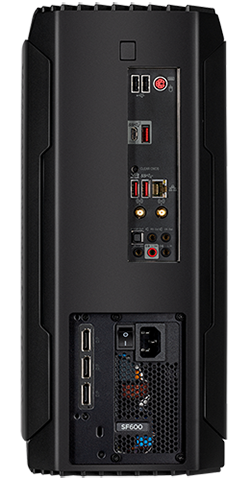 Corsair has moved to remedy that limitation by adding an audio jack and a second USB 3.1 Type-A port alongside the existing HDMI output. There's still no USB Type-C, but we like the fact that the ports have been moved to the system's bottom edge, as it makes for tidier cables during use. 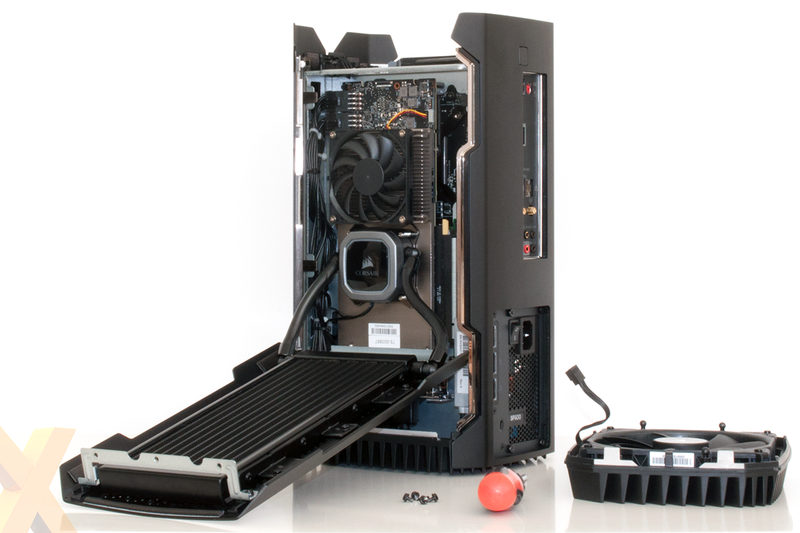 The bigger changes, of course, take place on the inside, where you now find an eight-core, liquid-cooled Core i9-9900K CPU and a liquid-cooled GeForce RTX 2080 Ti GPU. Both are stock-clocked, yet we continue to be impressed by the One's ability to squeeze such high-end components and two radiators into its slim body. It is interesting to note that the GPU radiator is the larger of the two, and as before, neither is equipped with fans - the One is designed to draw cool air in through its mesh sides with a large 140mm ML140 fan exhausting hot air from the top of the unit. Elsewhere, we can see 32GB (2x16GB) of Corsair Vengeance DDR4-2666 memory and a 512GB Samsung PM961 M.2 SSD sat atop the custom MSI Z370I mini-ITX motherboard. There's also a 2TB Seagate 2.5in hard disk for secondary storage duties, power is sourced from a compact Corsair SF600 supply, and though the GPU itself is liquid-cooled, the accompanying VRMs are cooled by a separate heatsink and fan on what looks to be a reference Nvidia PCB. Plenty to admire, but the packed design does inevitably limit upgradeability. Getting inside the unit is actually quite simple - the top section comes away at the press of a button, revealing four screws that need to be unfastened before removing the side panels. Accessing the components is the easy bit, however the intricacy of the cabling is such that changing any one part requires a fair amount of patience. This isn't really a system designed to be upgraded, and owners need to be aware that adding parts that haven't been officially certified will void the two-year warranty. 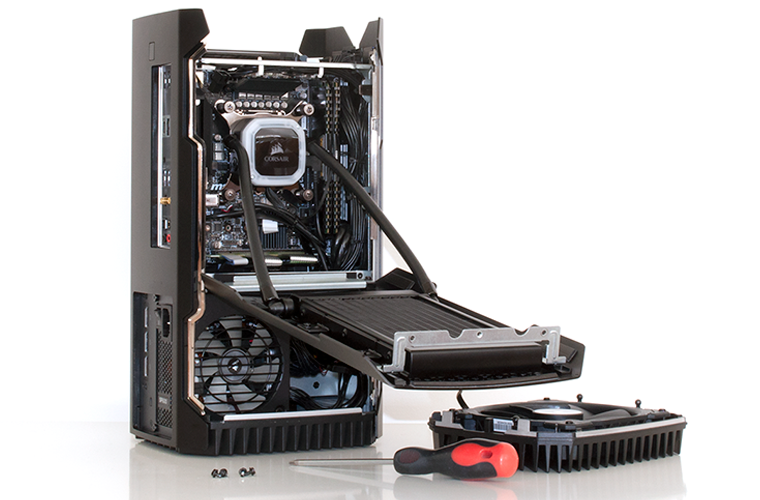 At the time of writing, supported upgrades are limited to the Corsair 32GB DRAM Upgrade Kit and any Corsair 2.5in SATA SSD. 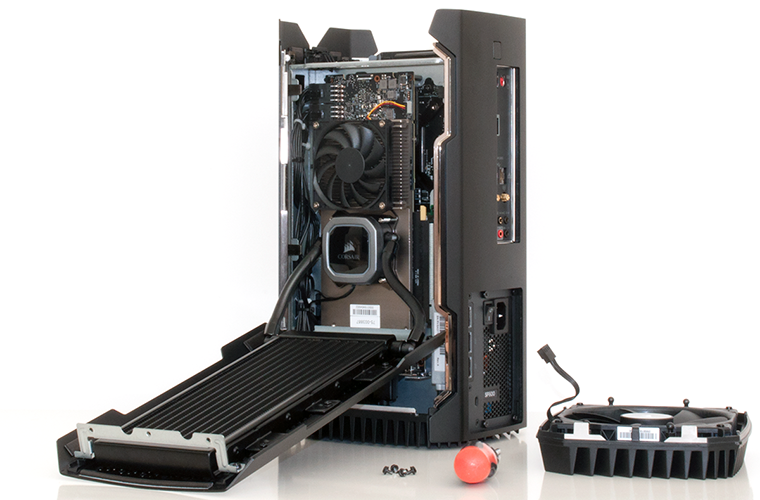 Given that upgrades aren't straightforward, the One i160 needs to be as forward-looking as possible right out of the box, and that being the case, we're surprised to find that Corsair has a couple of stones left unturned. The motherboard, firstly, is based on the older Z370 chipset that has been superseded by Z390. True, the newer chipset doesn't offer a whole lot more - native USB 3.1 Gen 2 and CNVi wireless are both compensated for in this instance - however when spending such large amounts of money, you come to expect the latest and greatest tech. Might a similar criticism be levelled against the M.2 SSD? The 512GB Samsung drive is plenty fast, but we had hoped to see a 1TB solution feature as standard in Corsair's £3,400 spec; the firm's own 960GB Force Series MP510 seems a natural fit. Value ultimately isn't the One i160's strong suit. There's an inevitable price premium attached to having these components served in such a compact, stylish and liquid-cooled unit, but we imagine there are plenty of enthusiasts who are willing to pay. But that brings us neatly onto the upcoming One Pro i180. If money is no object, Corsair's top-end model will soon be arriving at retail carrying a 12-core Core i9-9920X processor, GeForce RTX 2080 Ti graphics, a 960GB SSD, and quad-channel memory installed on an X299 platform. An immensely tasty unit with both gaming and workstation credentials, and though it'll cost a whopping £4,750, it comes in a grey finish that's even easier on the eye.